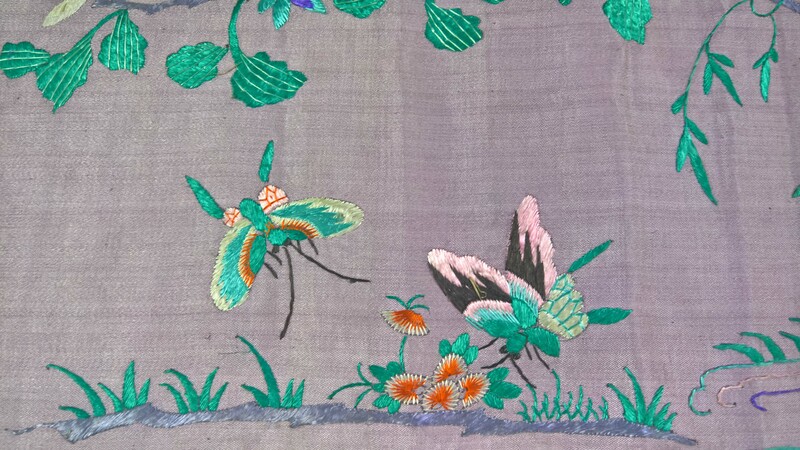 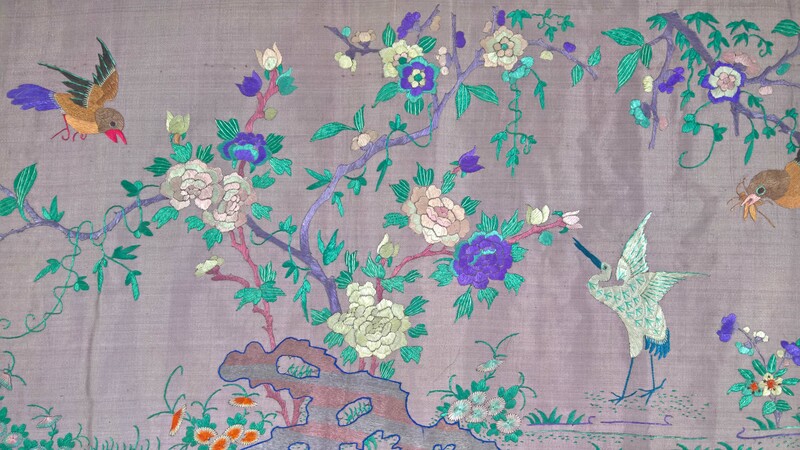 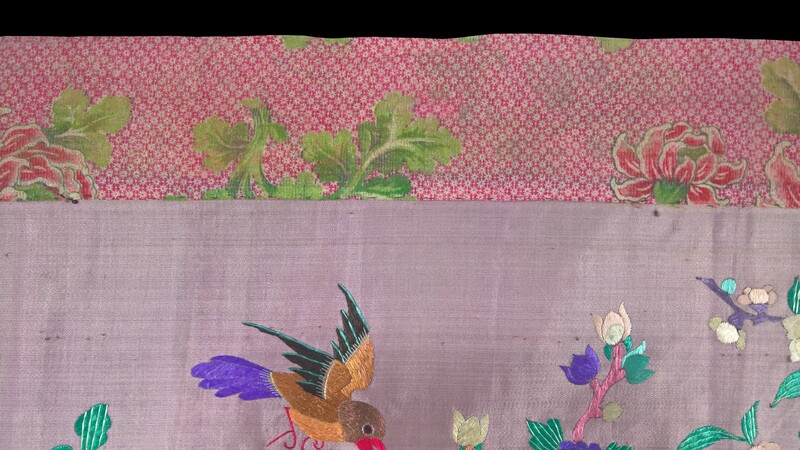 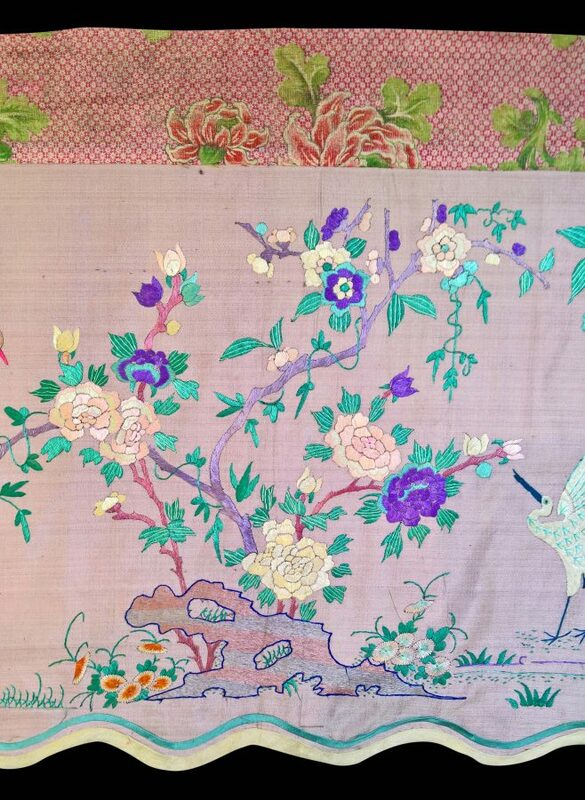 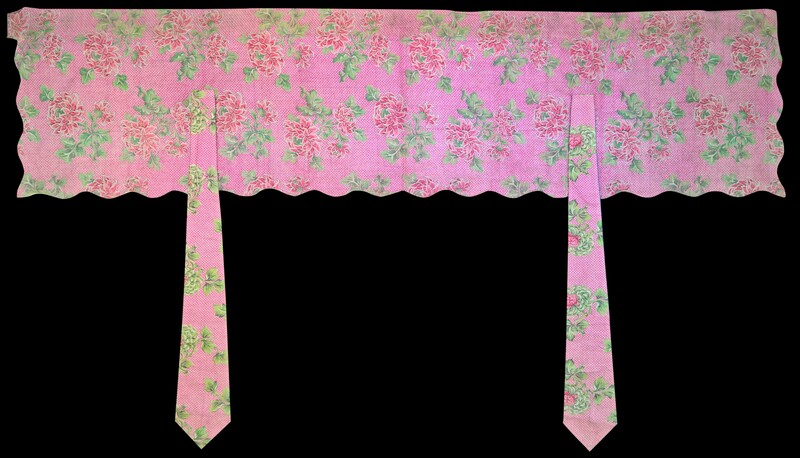 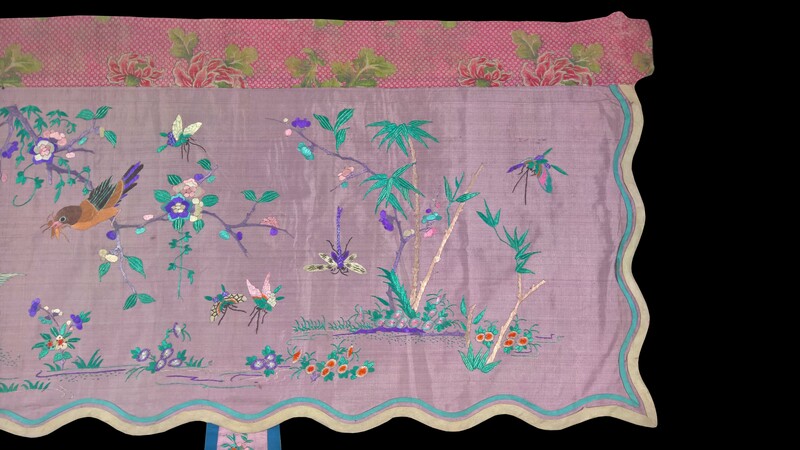 This silk valance (bin ch’ng chai) was used in conjunction with a Straits Chinese wedding and decorated the wedding poster bed or perhaps was hung from the lintel of a door, possibly the door to the bridal chamber. 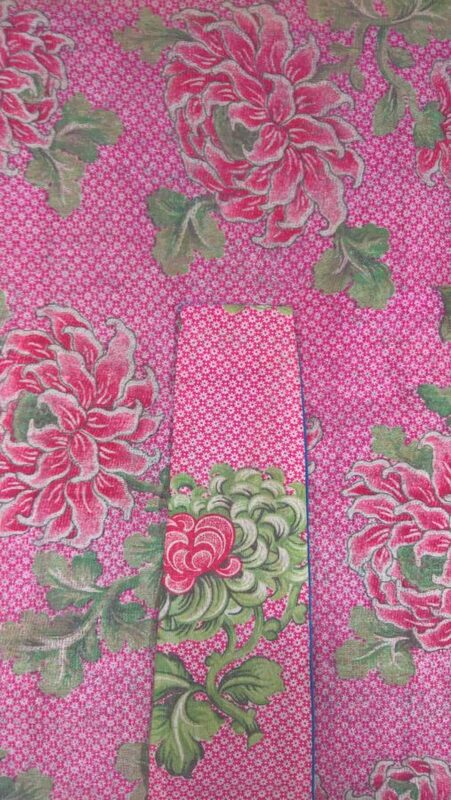 It comprises a rectangular upper section from which two elongated-diamond shaped hangings are suspended. 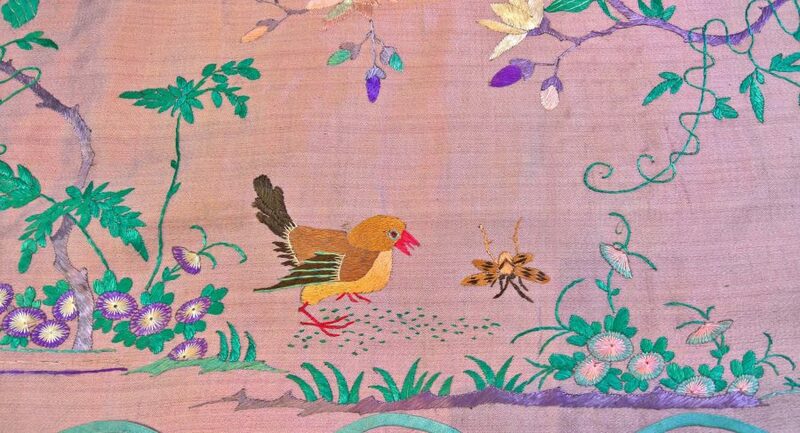 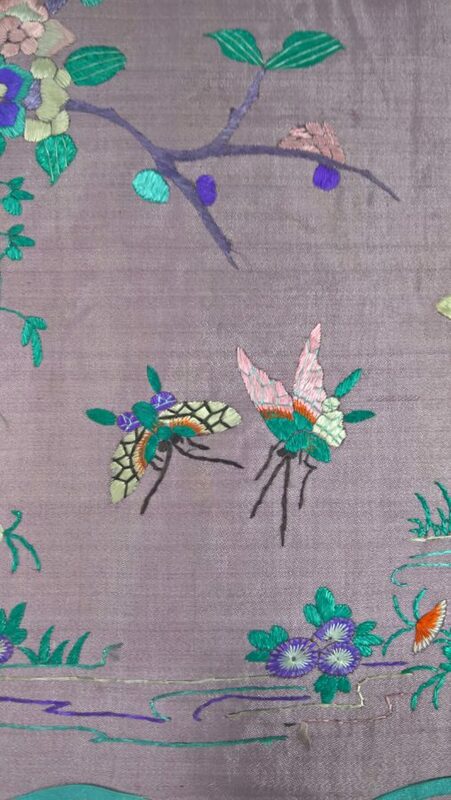 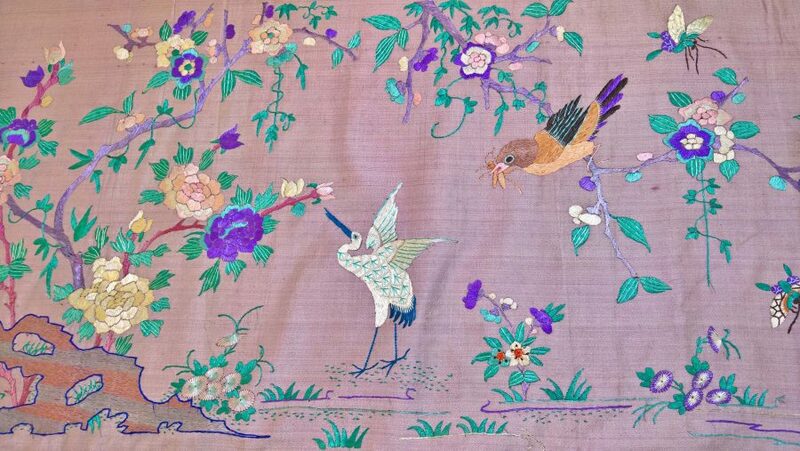 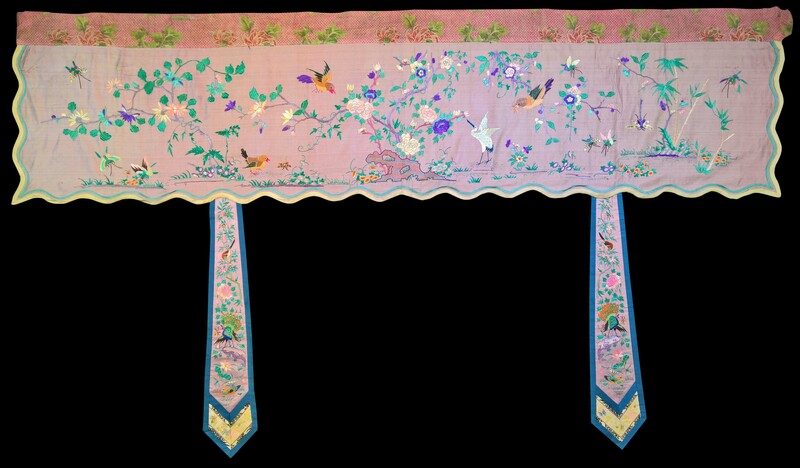 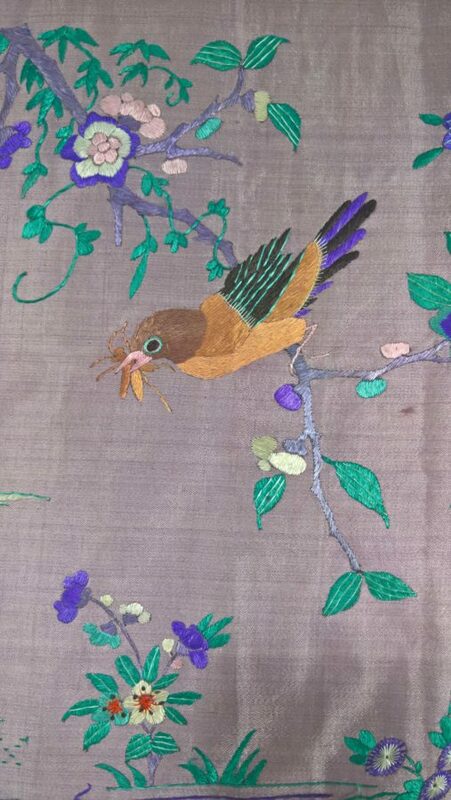 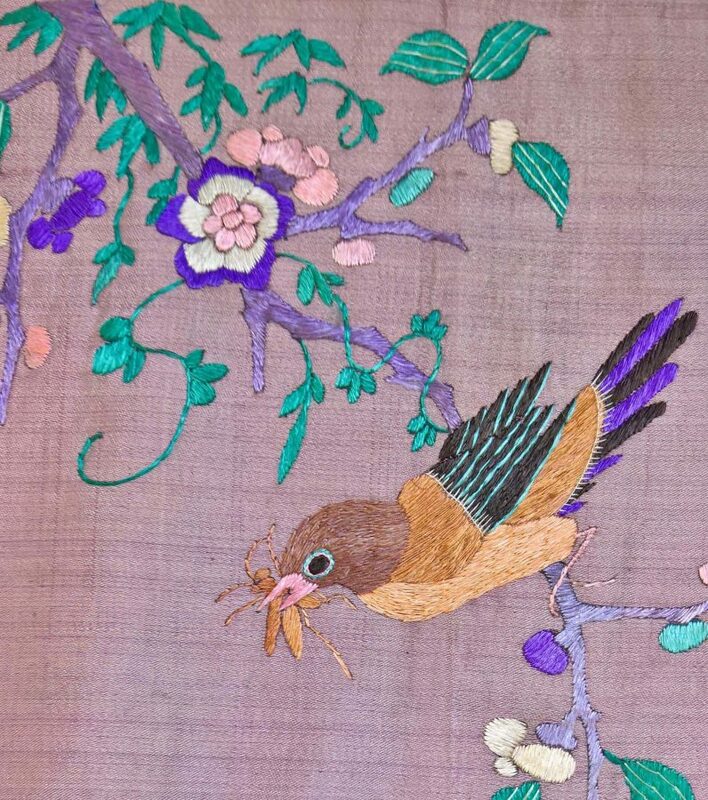 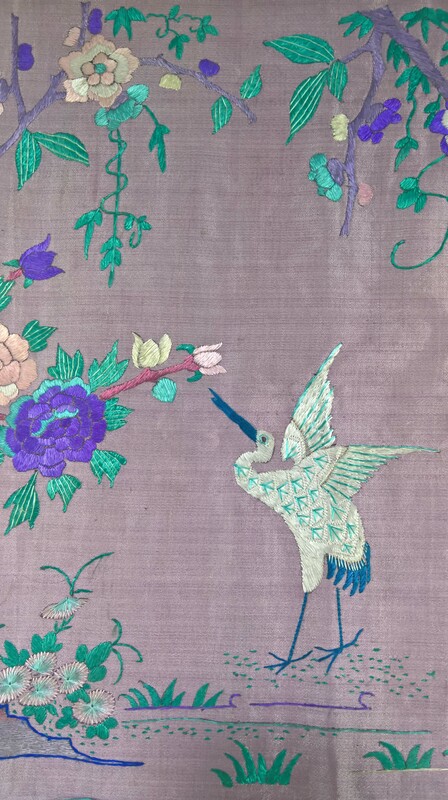 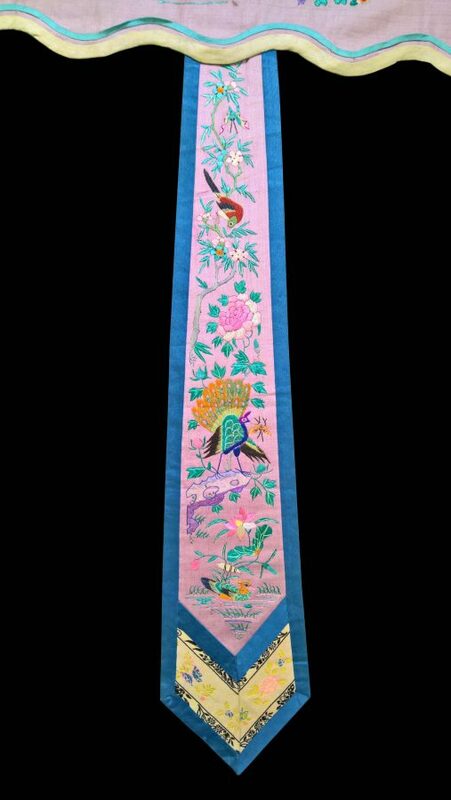 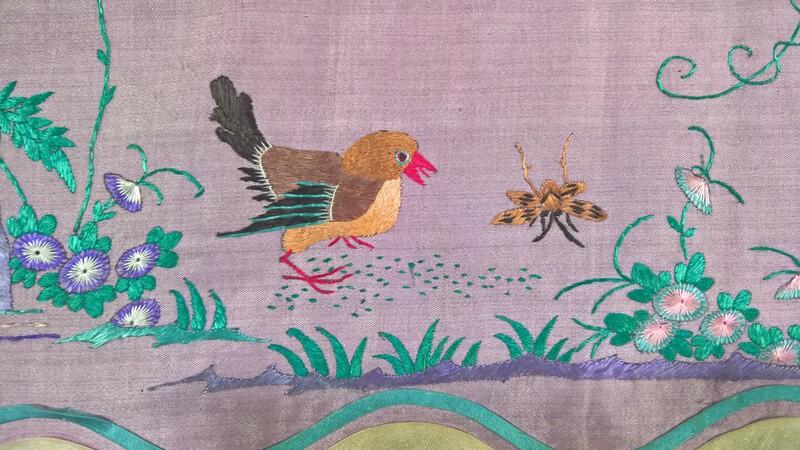 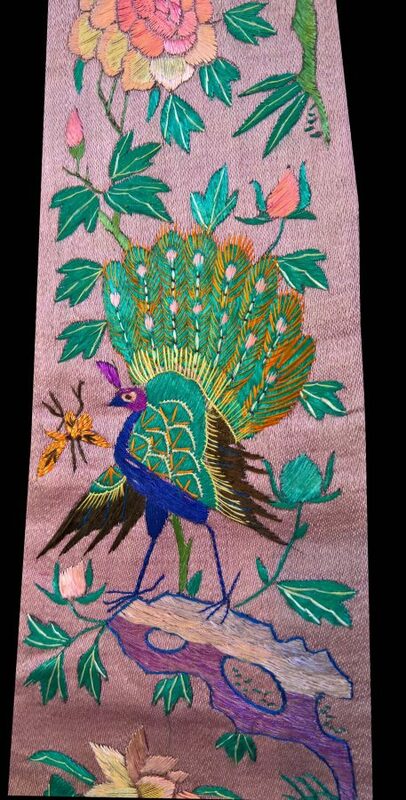 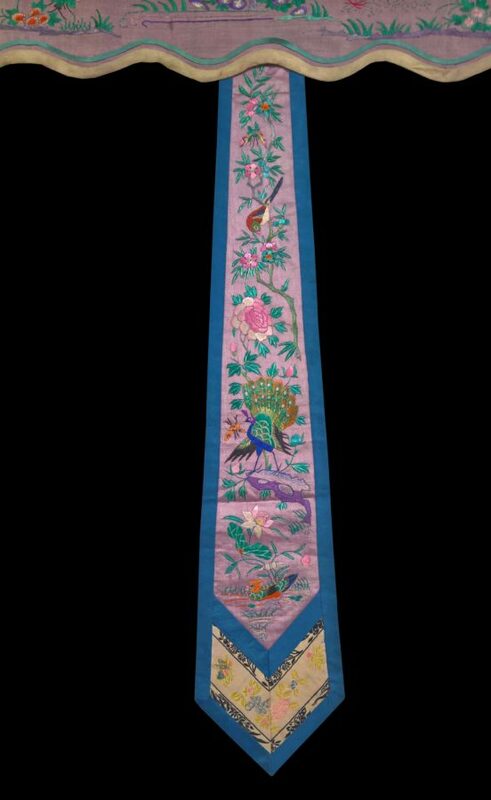 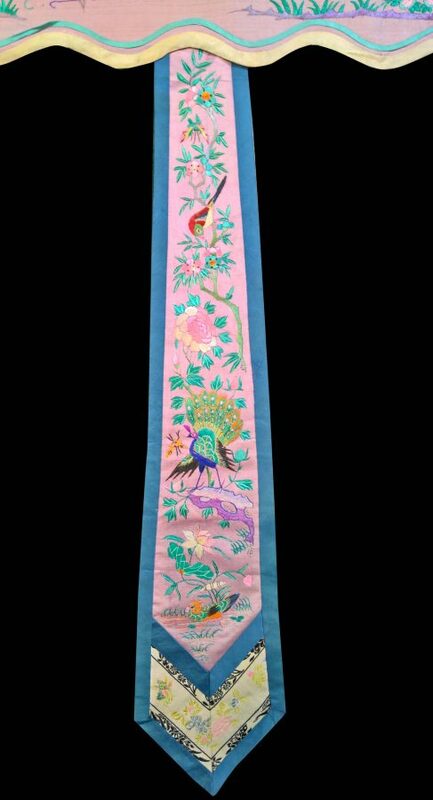 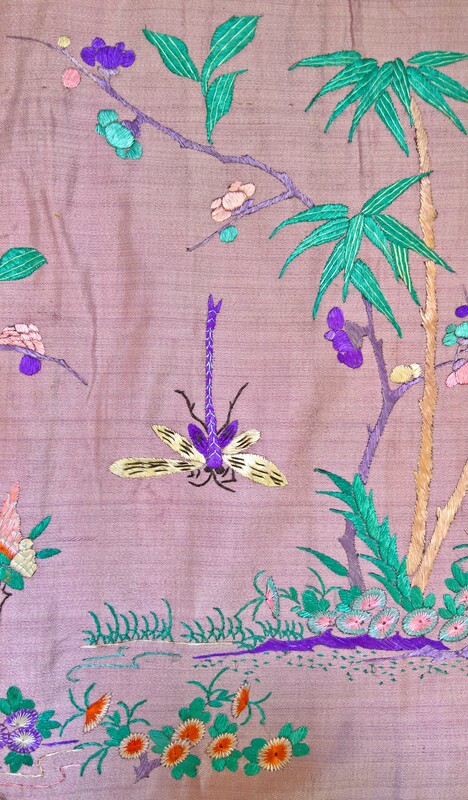 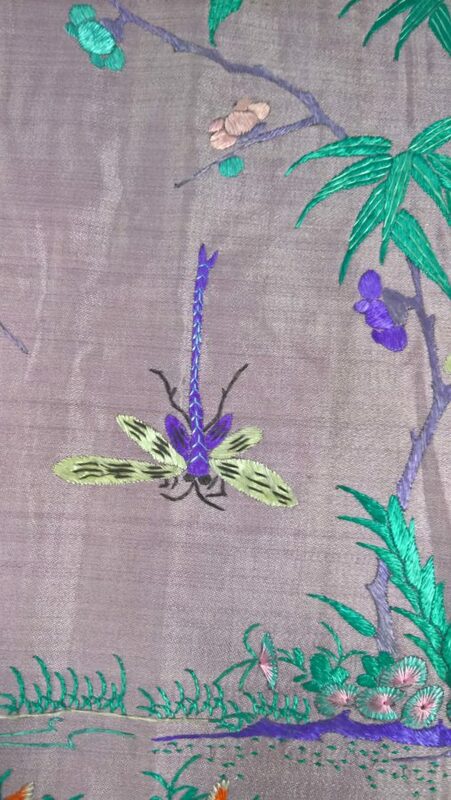 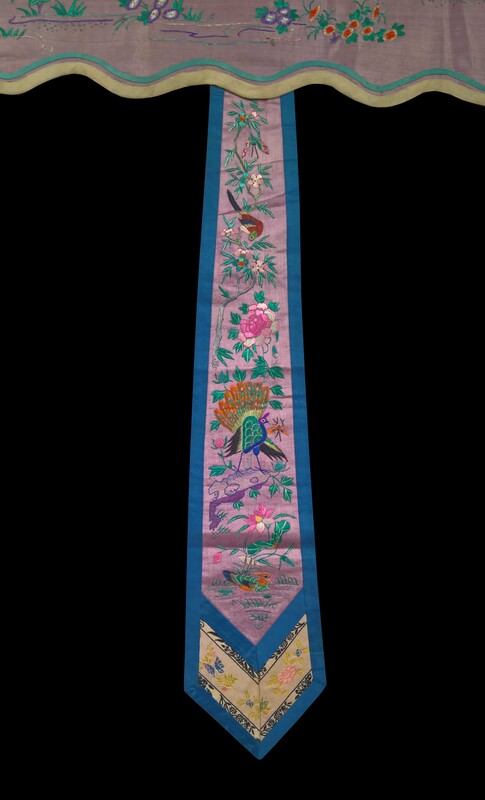 The valance has a pink silk ground and is embroidered in multiple colours with auspicious symbols such as humming birds, dragonflies, mandarin ducks, cranes, peacocks and butterflies amid beautiful flowers. 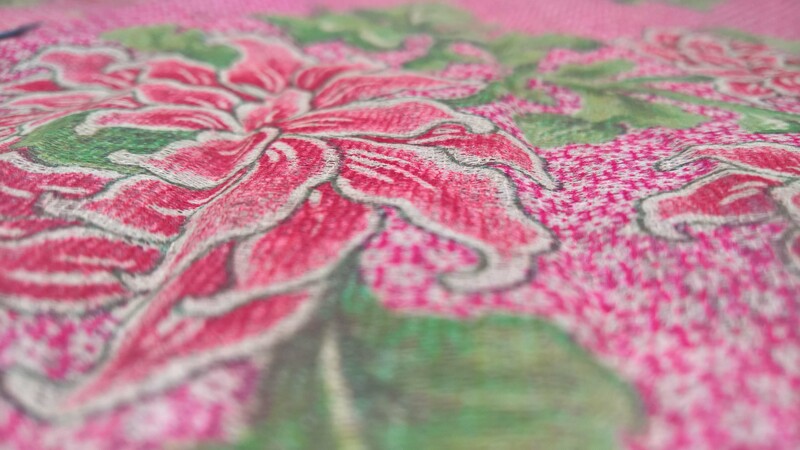 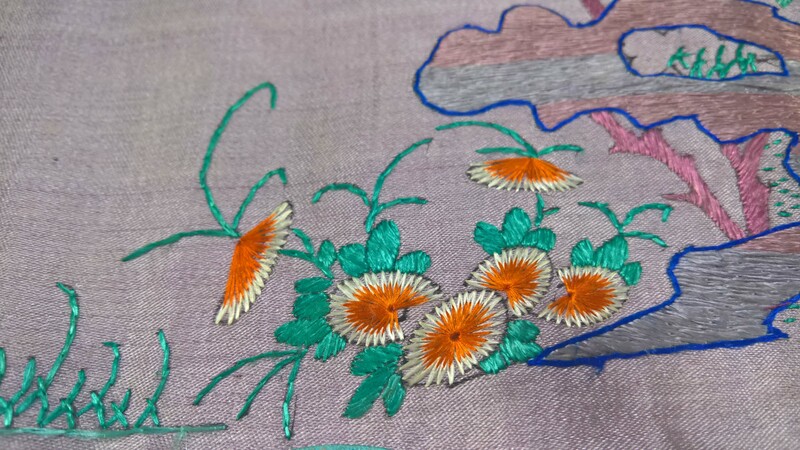 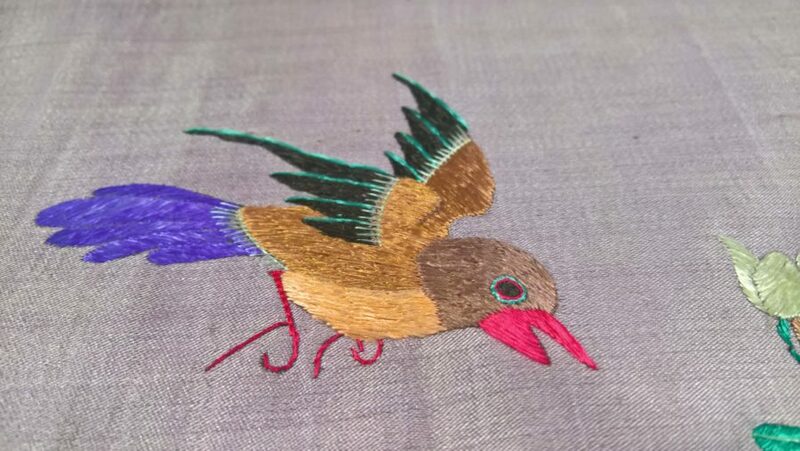 The quality of the embroidery is high. 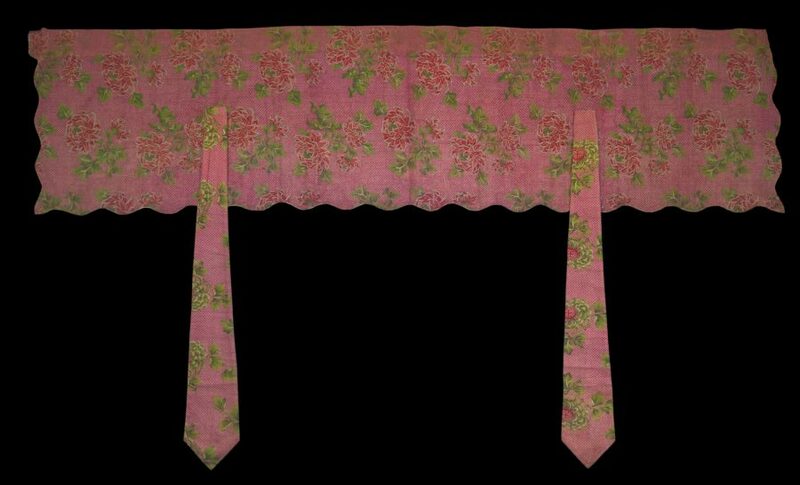 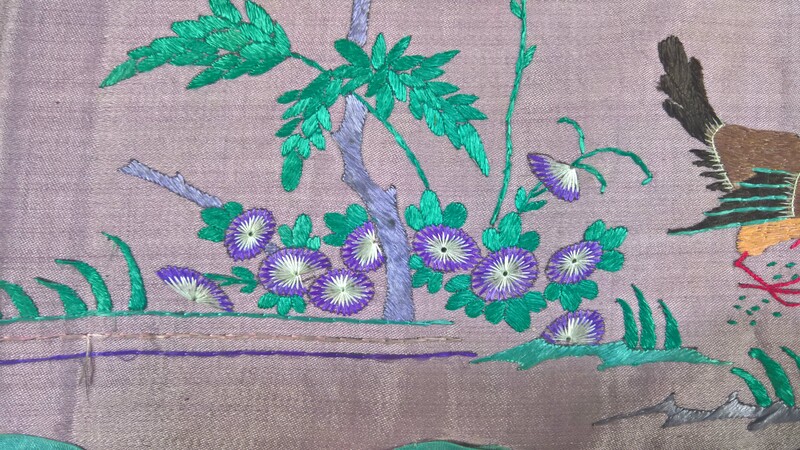 The valance is in near-perfect condition with some fraying only to the backing material but none to the silk embroidered panel itself. 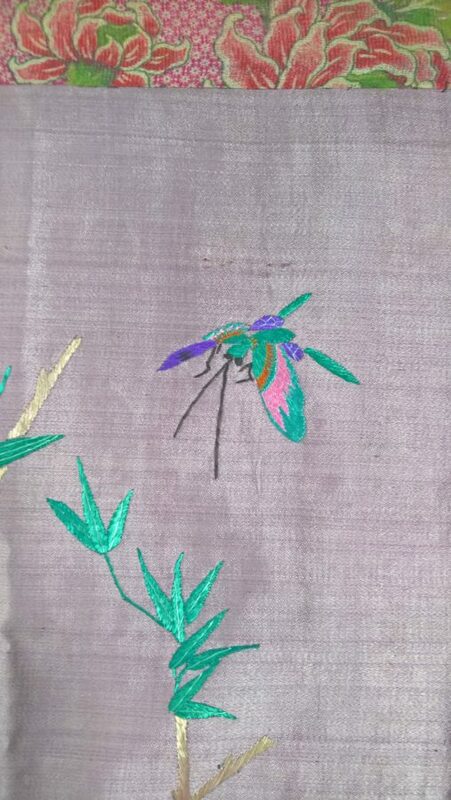 It is bright with little fading. 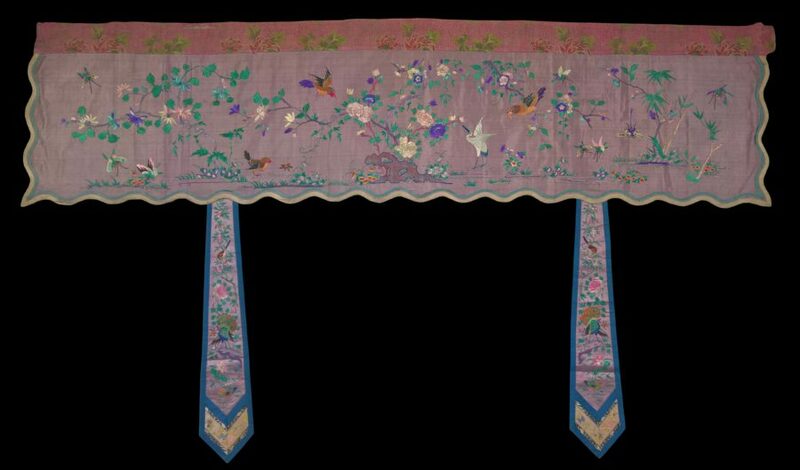 It was part of the estate of an English colonial administrator who brought it back to England in the 1930s (or earlier). It has been in the UK ever since.